Maintaining adequate hydration is vital for both health and productivity. 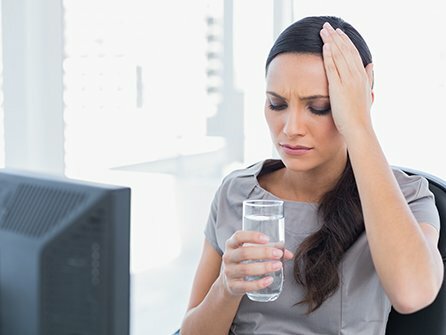 When people are dehydrated, their performance and mental acuity are adversely affected. It makes good sense for a business to invest in their employees and provide a source of quality water. It may be tempting, to simply arrange for a water cooler with some bottle racks, stands, and other accessories. However, there are a number of different options to consider, let’s take a look at them to see which one may suit your size of business best. 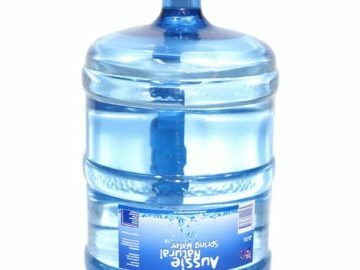 Even at the very smallest kind of business, it may be possible to supply your few employees with bottles of spring water. These could be racked up in a common room fridge and used as required by employees. It can be a bit of a pain to keep this stocked with trips to the supermarket, and it can be easy to forget. 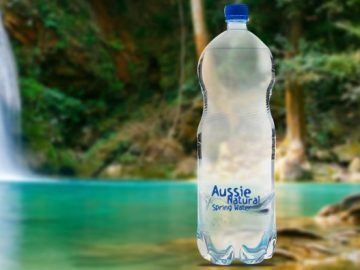 However, Aussie Natural Spring Water can deliver a variety of sizes of bottles of locally sourced spring water directly to your home or business. Having a regular delivery of bottled water can take a lot of the hassle out of keeping your employees hydrated. If you have more than handful employees, it is not practical to use bottled water to fulfill your needs. A more practical solution is to rent our water coolers, which hold more water and require filling less than a fridge filled with water bottles. There are a variety of sizes and models are available starting from only 27c per day. For added convenience, we can install water cooler bottle racks, so that you can store extra water and change the bottles as needed. 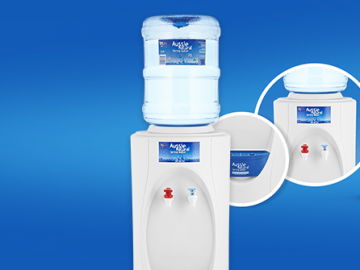 Some of our models can dispense both hot and cold water for those employees that want to prepare a hot beverage or instant soup. In this case, it may be a good idea to consider fitting a Water Filtration System. On the face of it, these units behave in a very similar manner to the water coolers. However, you will notice that there is no bottle of water on top of the unit to replace. This is because these water dispensers are plumbed directly into the water supply of the building. The water supply is then filtered through both a five micron filter and a carbon filter. This removes any chlorine and other chemicals which may be present. Again, both hot and cold models are available, fitting is carried out by qualified plumbers, and the system is checked regularly as part of your contract. 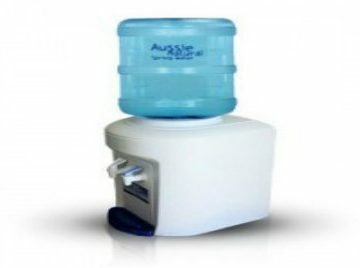 This system is an excellent choice, for large businesses that either don’t want to change water cooler bottles or have other issues that make water deliveries problematic. If you would like to know more about how to use quality water products in your business, contact us. 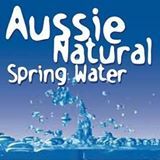 Here at Aussie Natural Spring Water we have a wide variety of water solutions for sale, such as water coolers, water filters, water bottle racks, stands and other accessories. For more information give us a call or come down and visit us in person. We will be happy to help you choose which water solution will suit you best.